Height is measured at the inside lip of the at the front of the air cleaner curve. 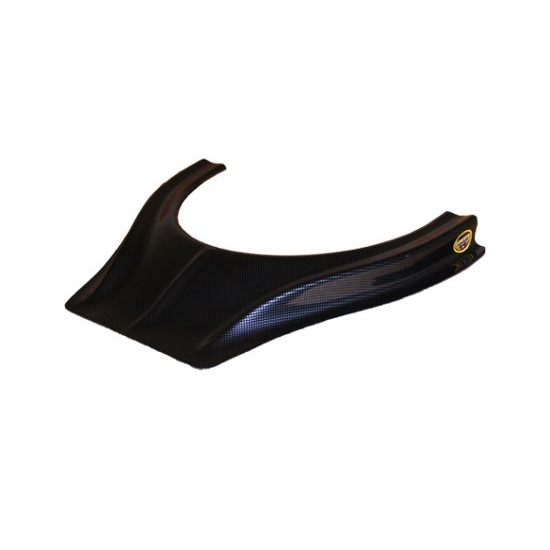 These oval track hood scoops protect your air cleaner from dirt and debris and come in a choice of heights and styles. It may look like carbon fiber but it's actually made of durable, high-impact plastic. A molded-in flange allows for easy installation. Choose white or carbon fiber look.